Bagging has been an important step for many supermarket employees who have pursued long and rewarding careers in the grocery industry. 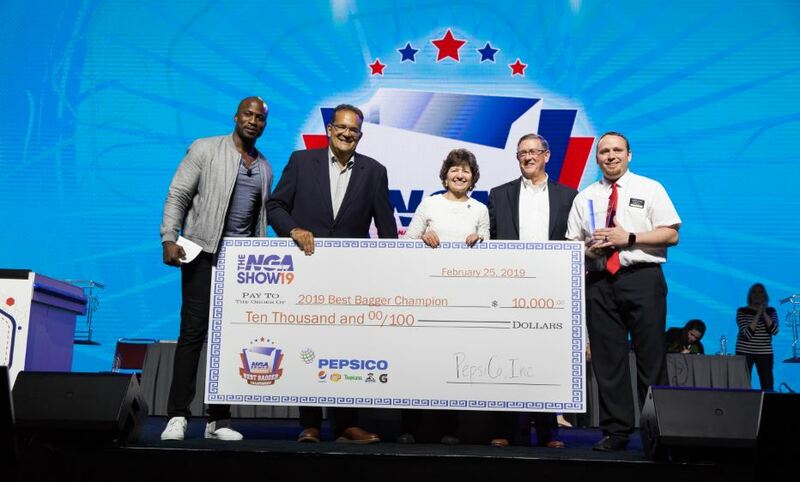 The National Grocers Association Best Bagger Championship features retailers with infectious company pride and an enthusiastic commitment to customer service. The first Best Bagging contest was held in 1987 in Dallas, TX. The “Texas – Oklahoma Checkout Shootout” featured two contestants and former NFL Quarterback Terry Bradshaw as the emcee. Since then, NGA has branded and grown the event to feature more than 25 state bagging contestants. 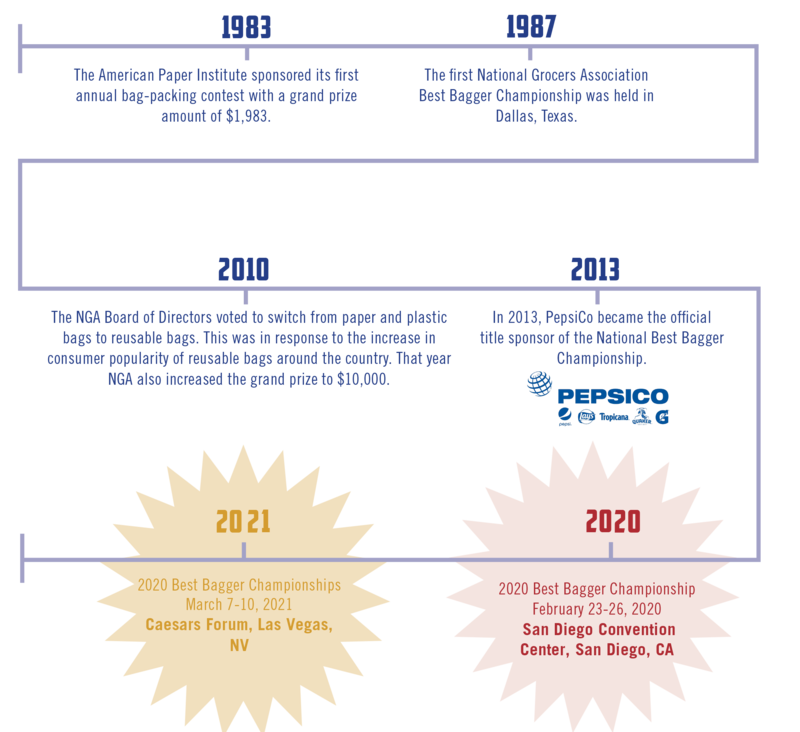 Cheer on your state’s bagger as NGA celebrates over 30 years of bagging excellence at The NGA Show! 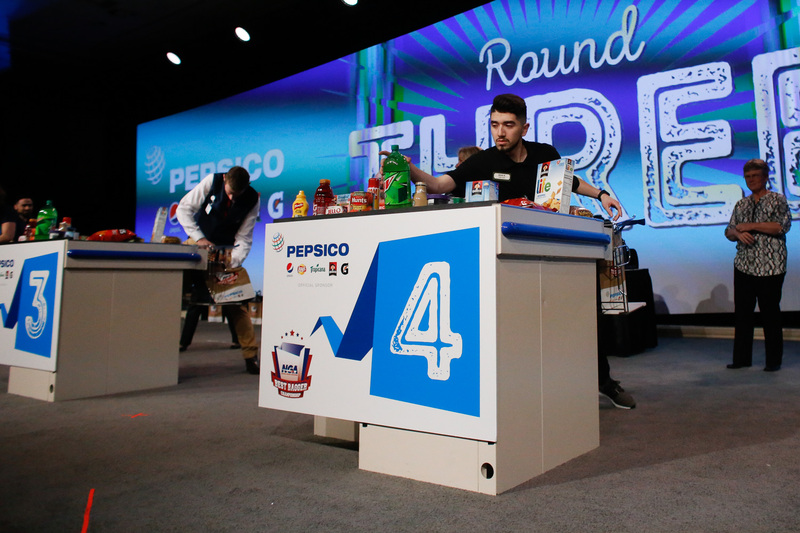 Elite baggers from across the country vie for the championship title and a $10,000 cash prize during the evening event. Excited to see your state represented in the National Best Bagger contest? 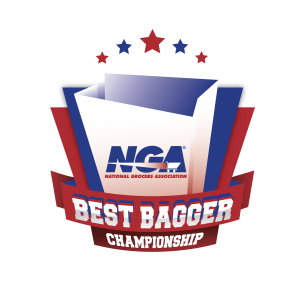 Use the hashtags, #BestBagger and #NGAShow20, to share with the world why your state's contestant deserves the crown. We hope to see you in San Diego! Interested in Hosting a Best Bagger Competition? Please contact the NGA Best Bagger Coordinator at bestbagger@nationalgrocers.org or call 703.516.0700.